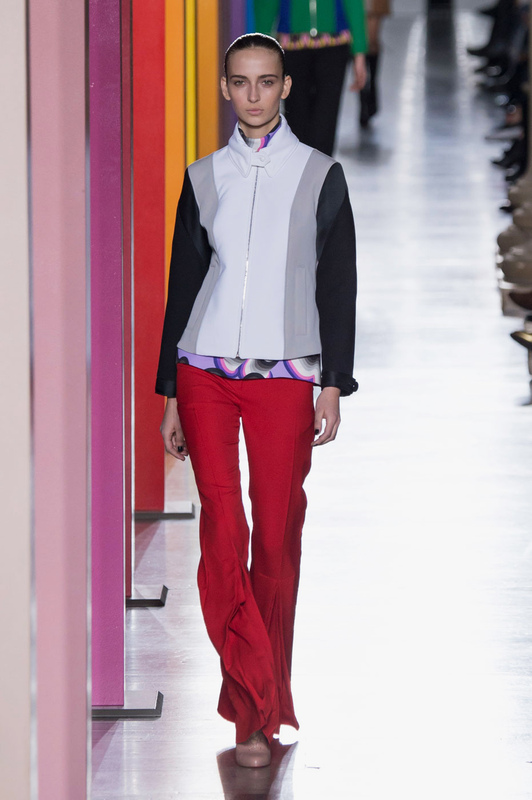 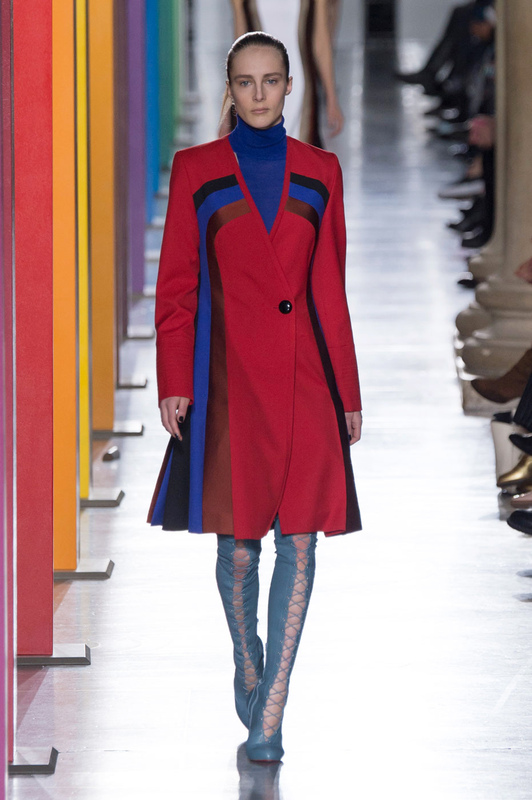 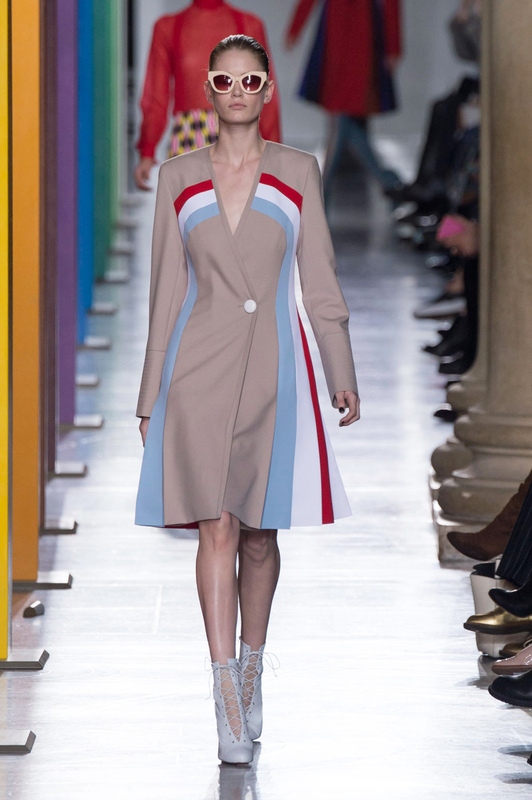 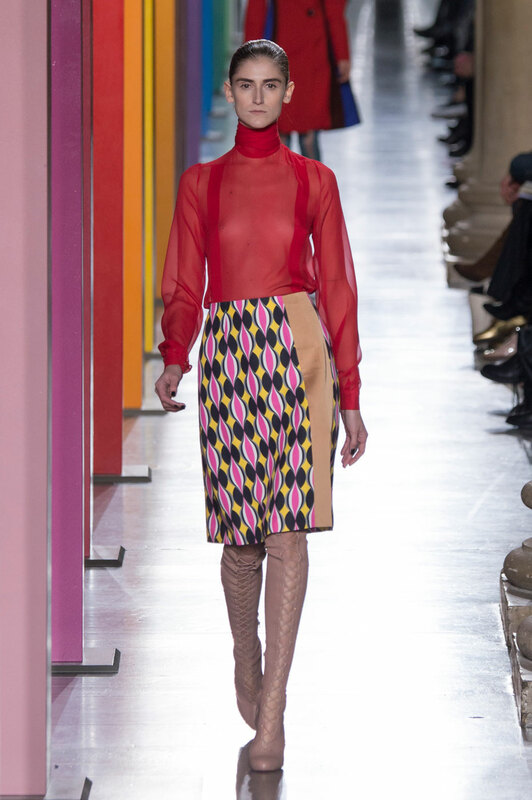 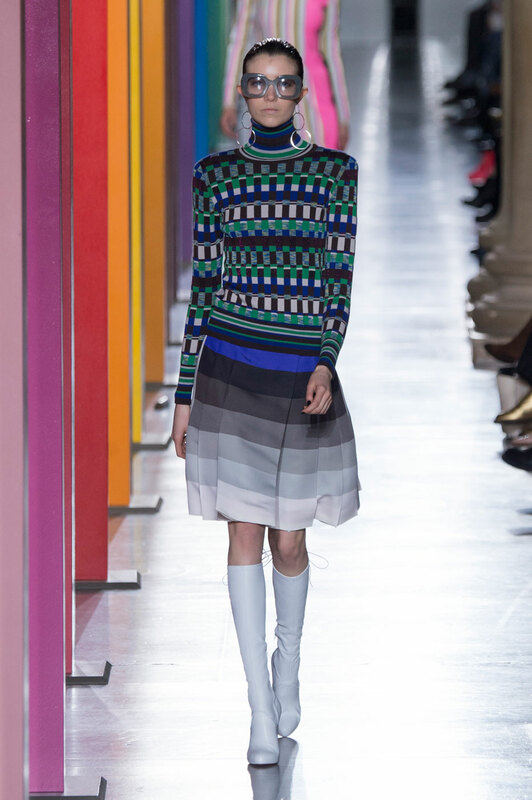 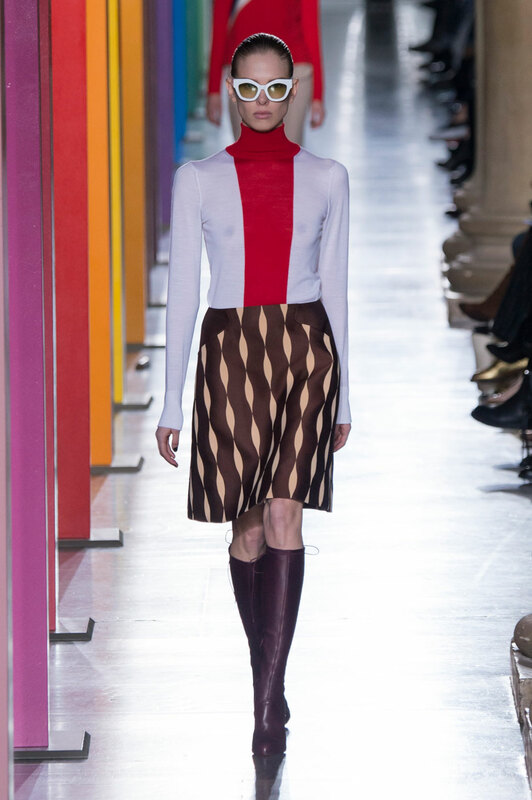 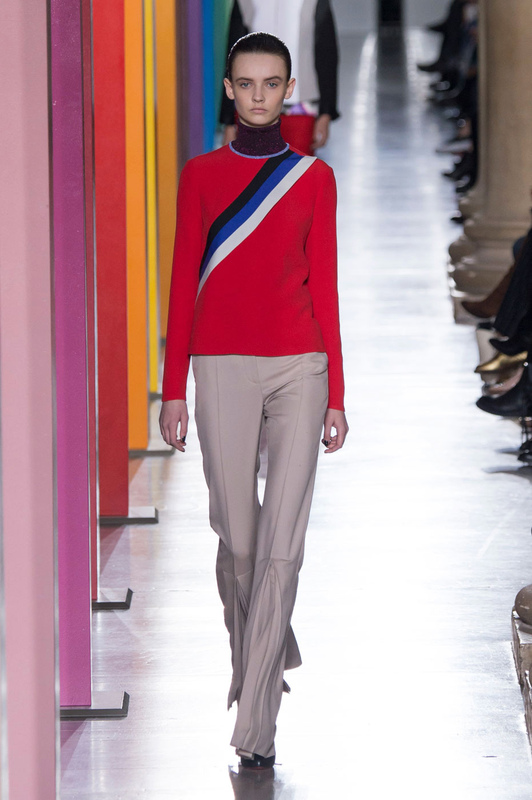 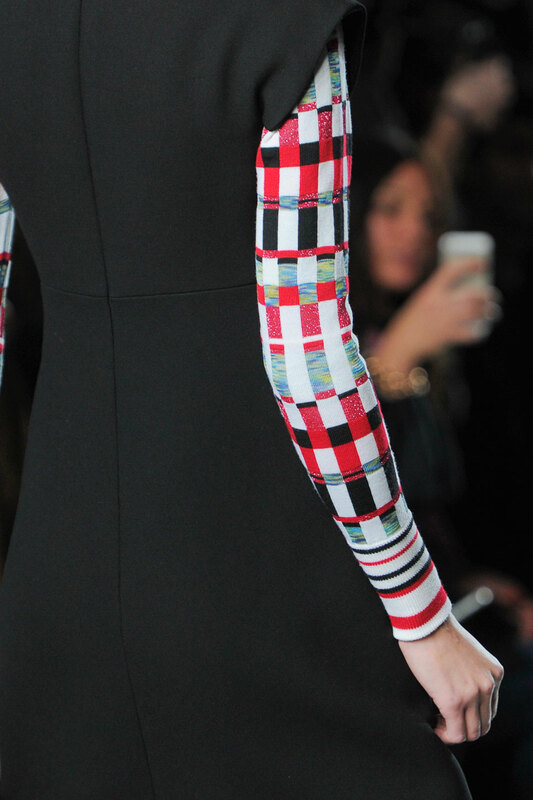 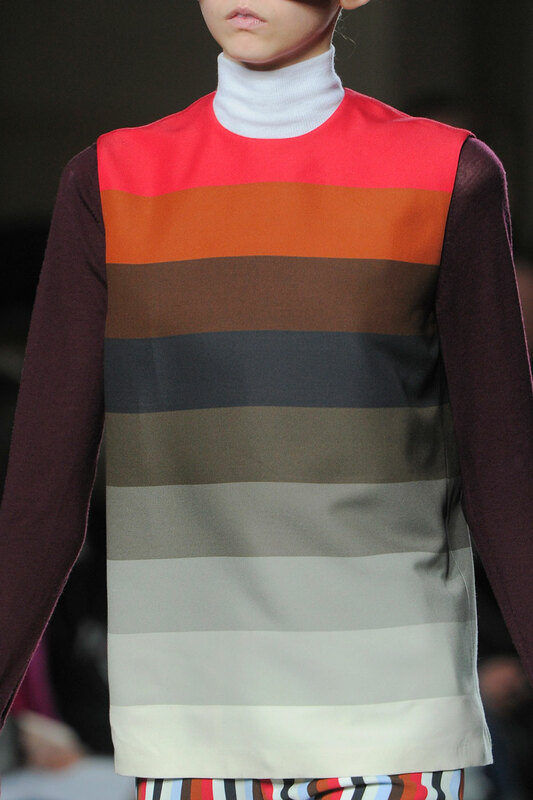 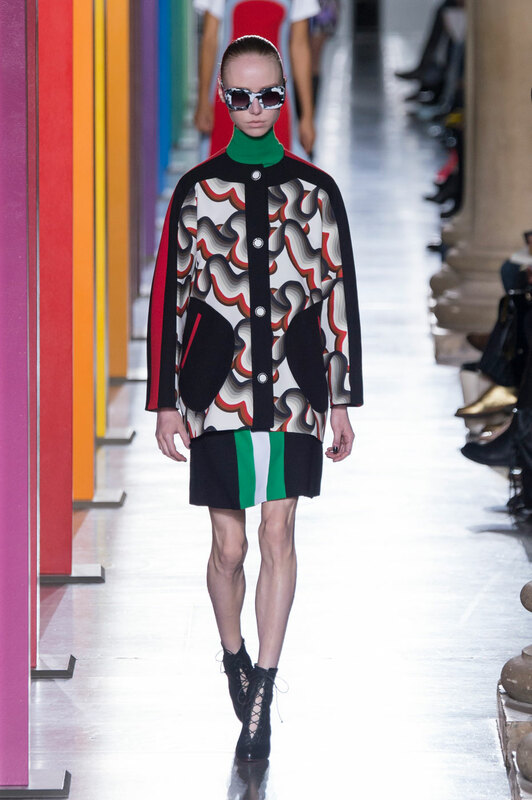 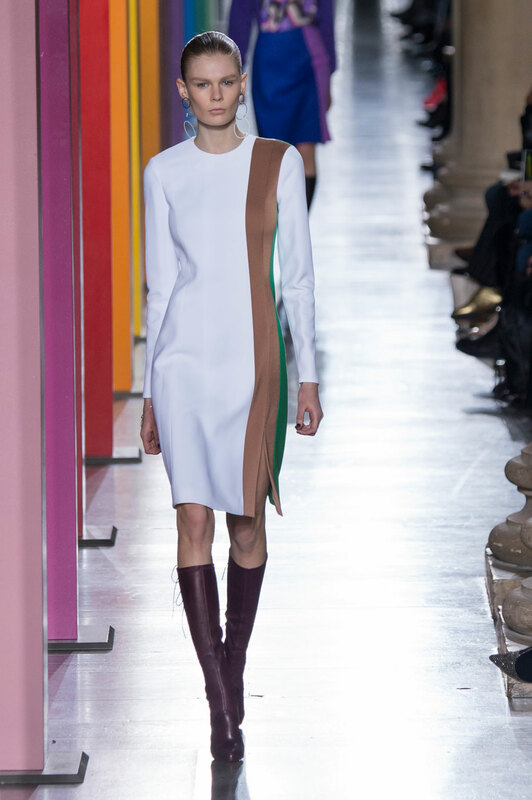 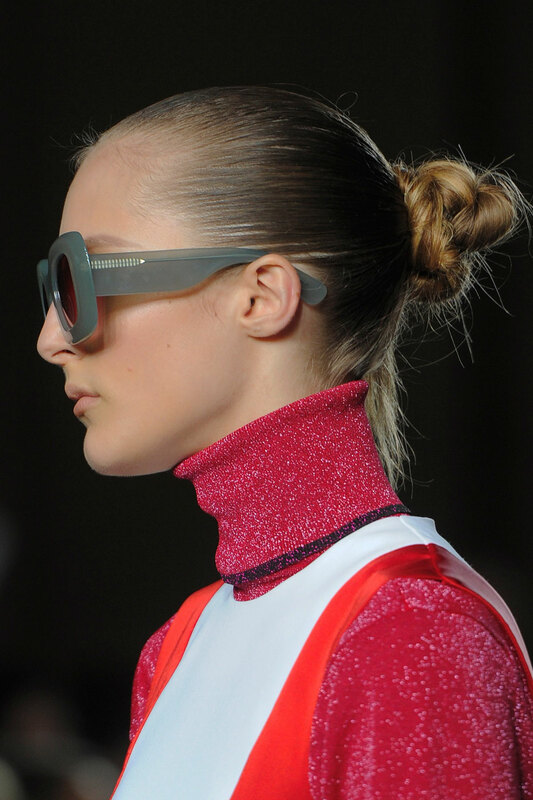 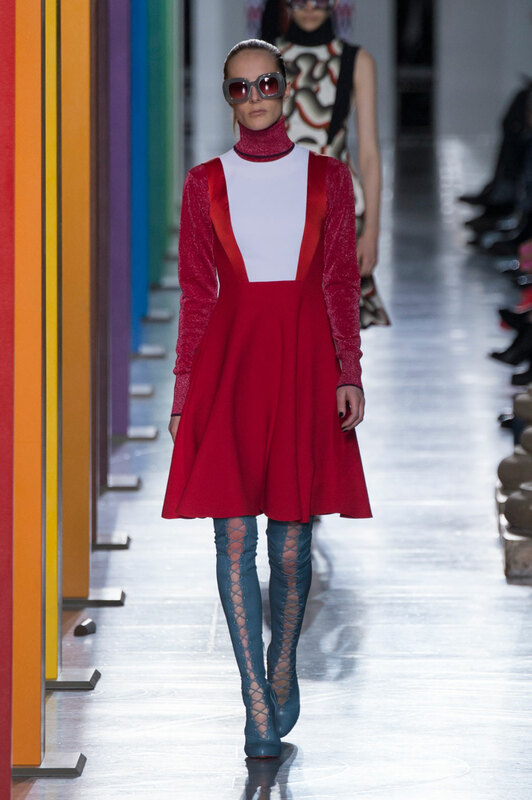 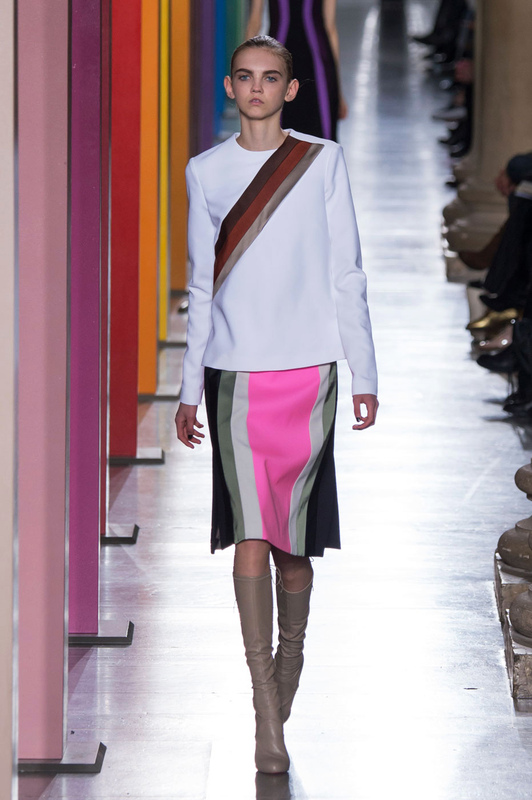 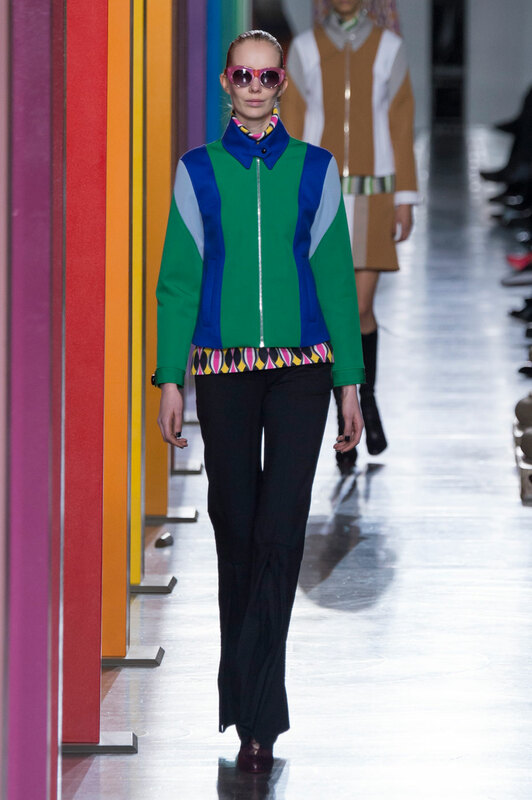 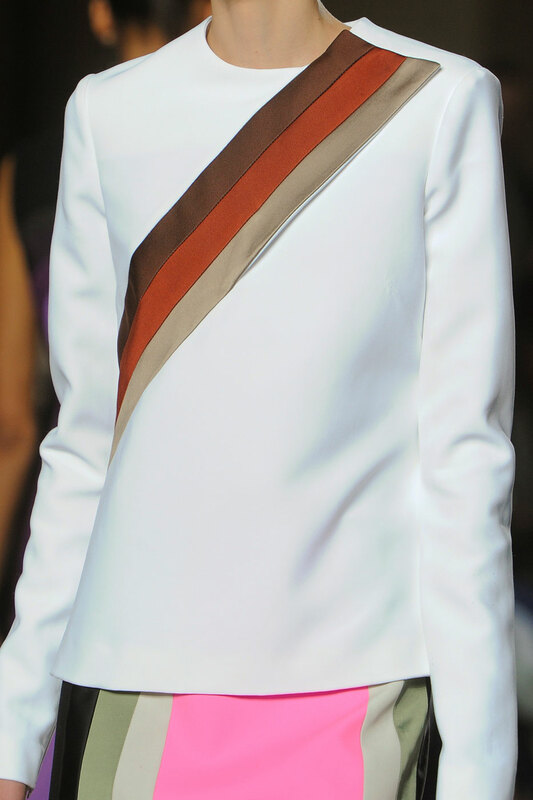 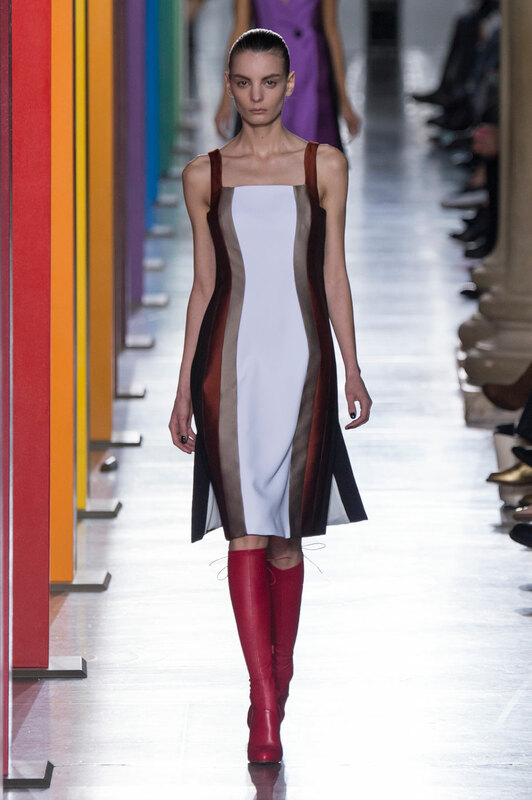 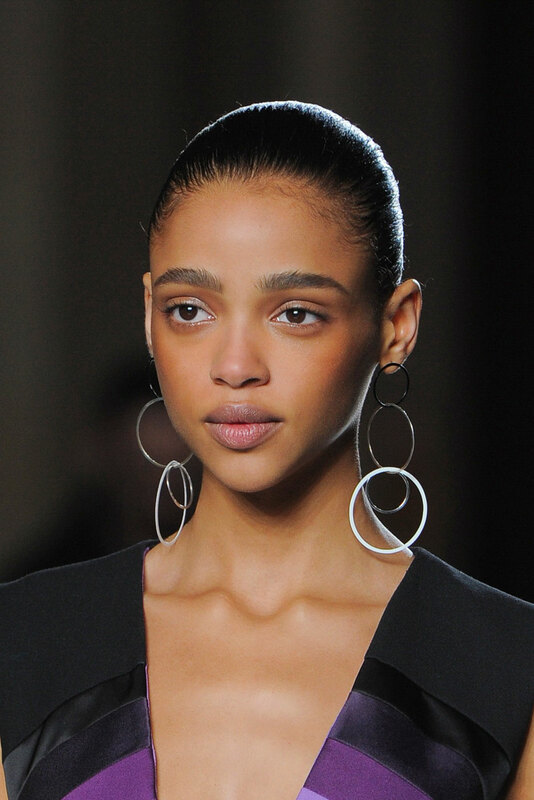 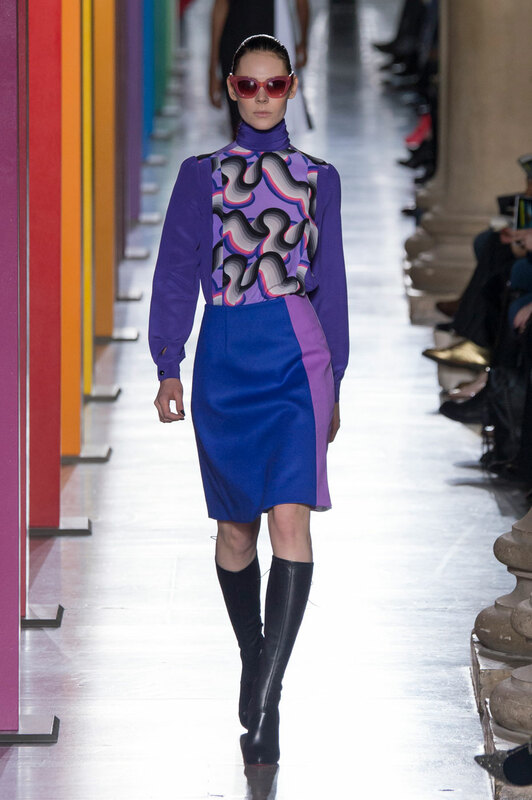 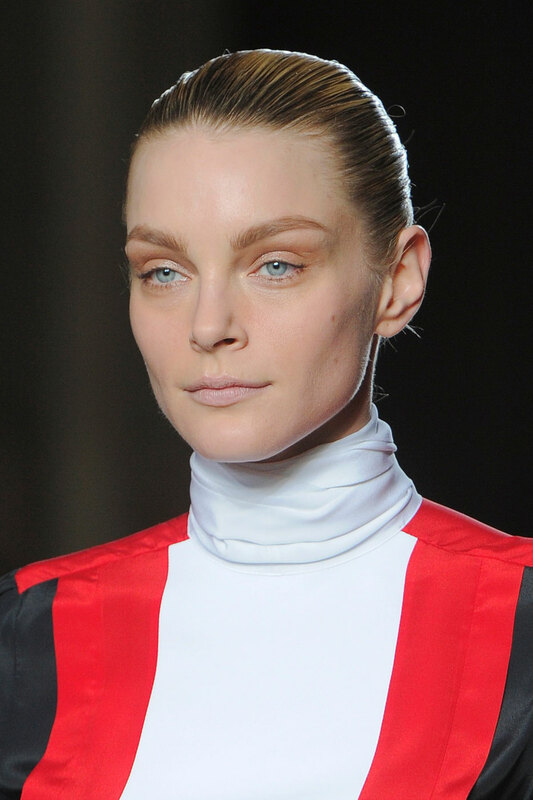 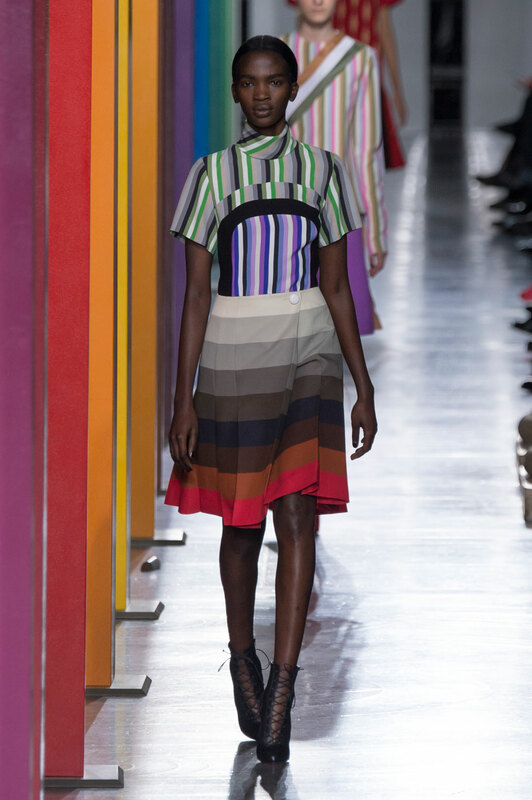 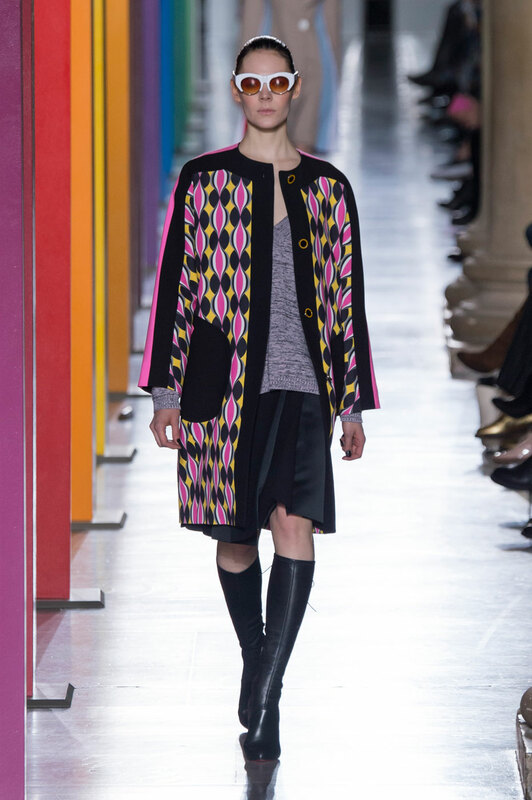 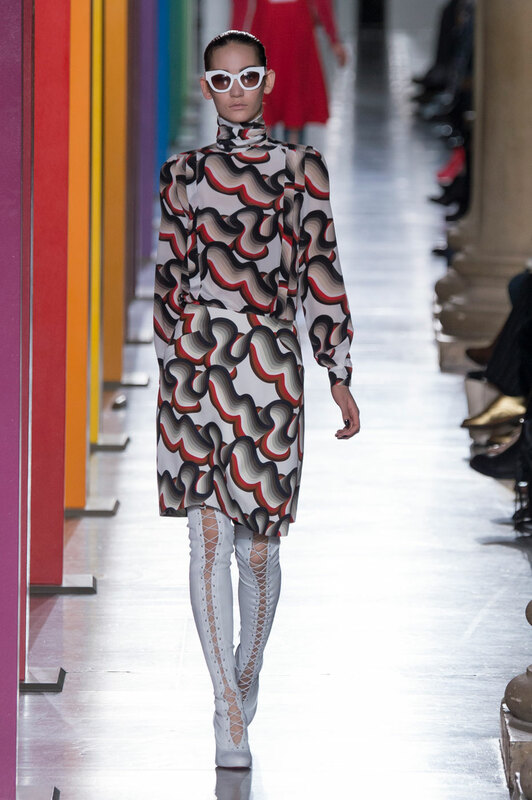 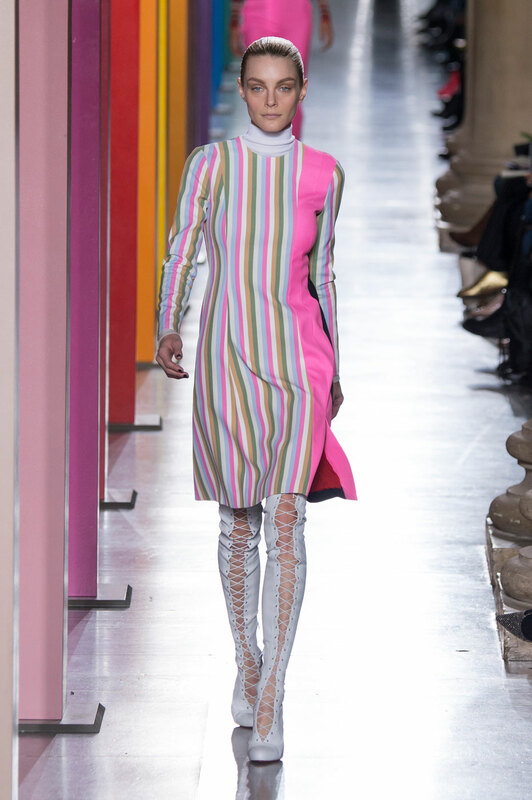 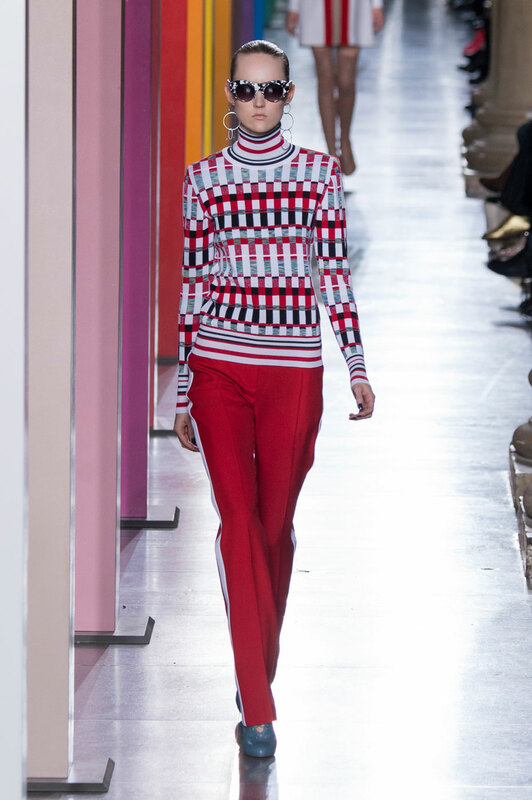 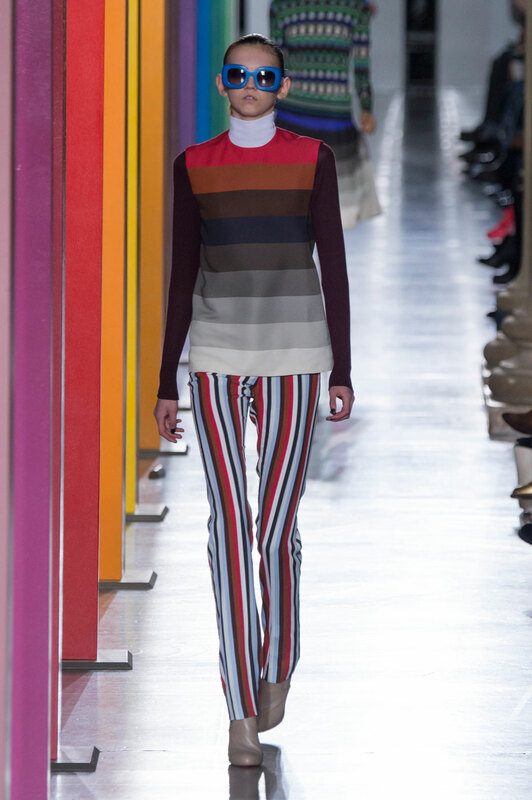 Jonathan Saunders Women Autumn-Winter 2015 - Bringing London Fashion Week’s Sunday evening to an astounding end, Jonathon Saunders showcased a spectrum of stripes in a collection seemingly inspired by retro and rainbows. 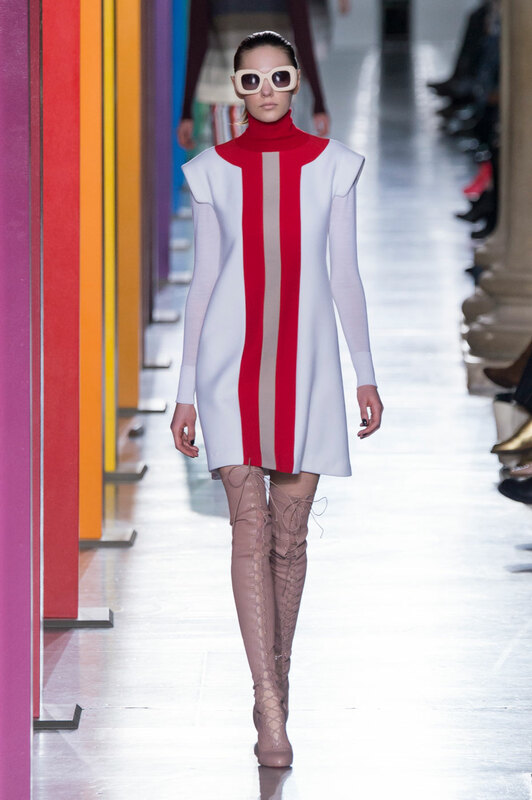 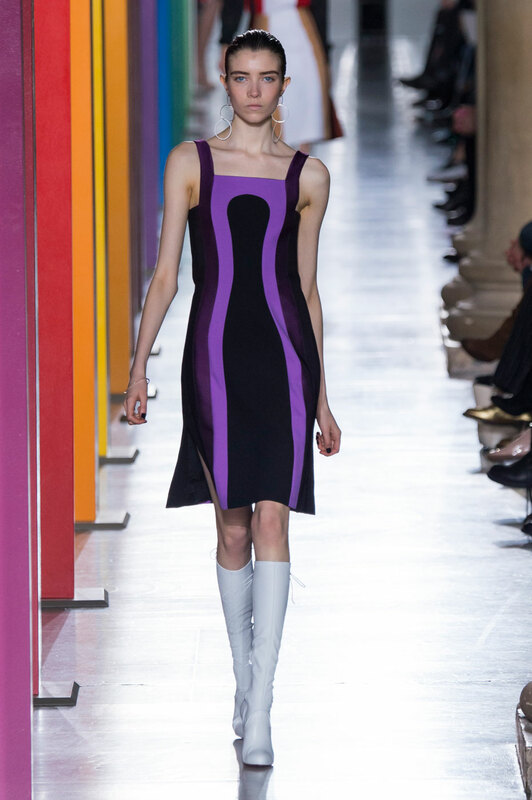 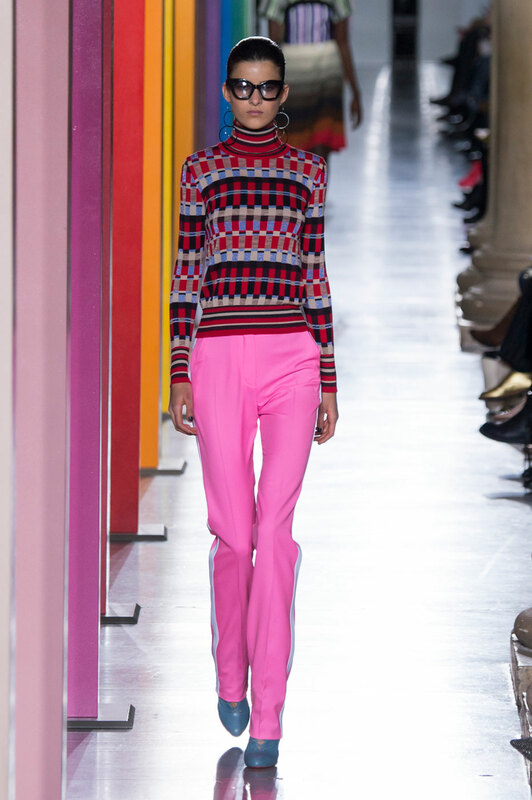 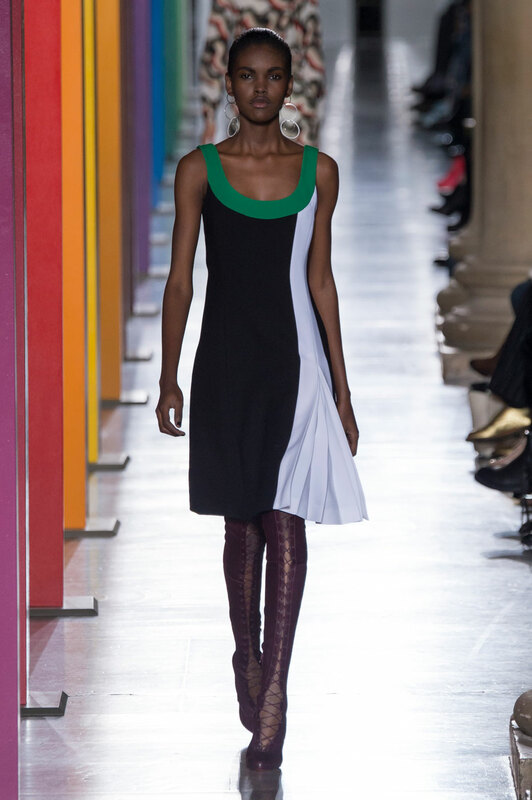 Rinsing his Tate Britain surroundings with a blindingly fluorescent white light, Saunders revived Sixties and Seventies groove with a series of looks comprising of funky colour blocking and some serious statement stripes. 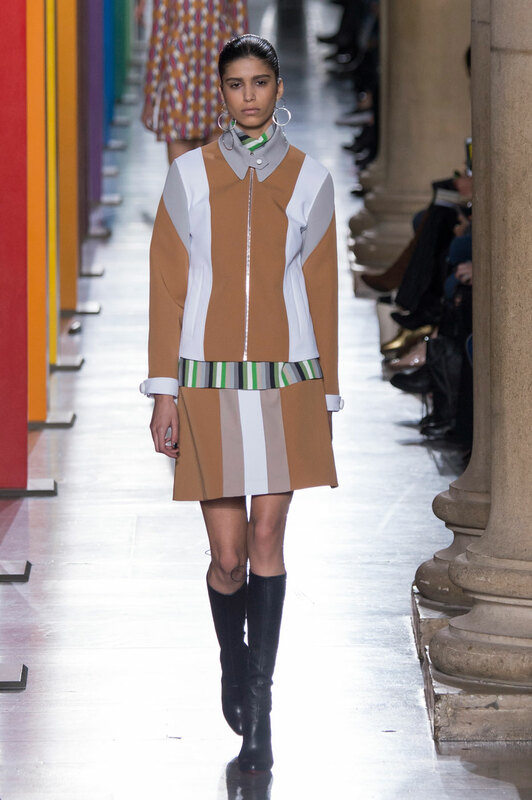 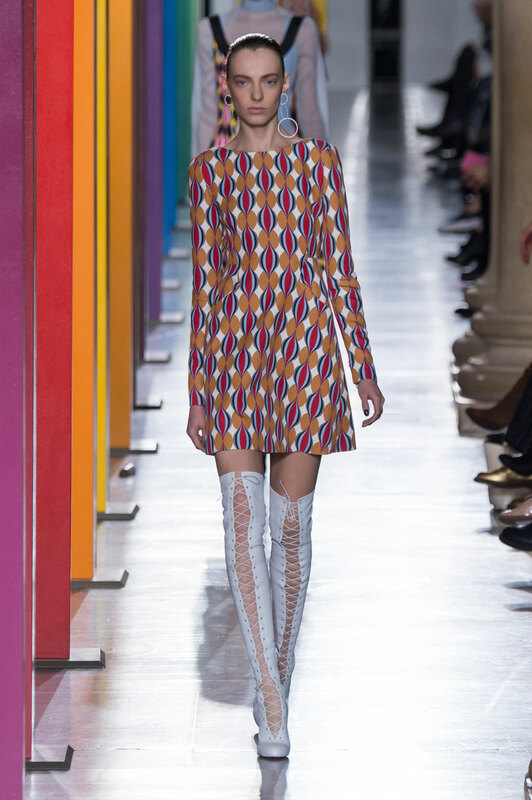 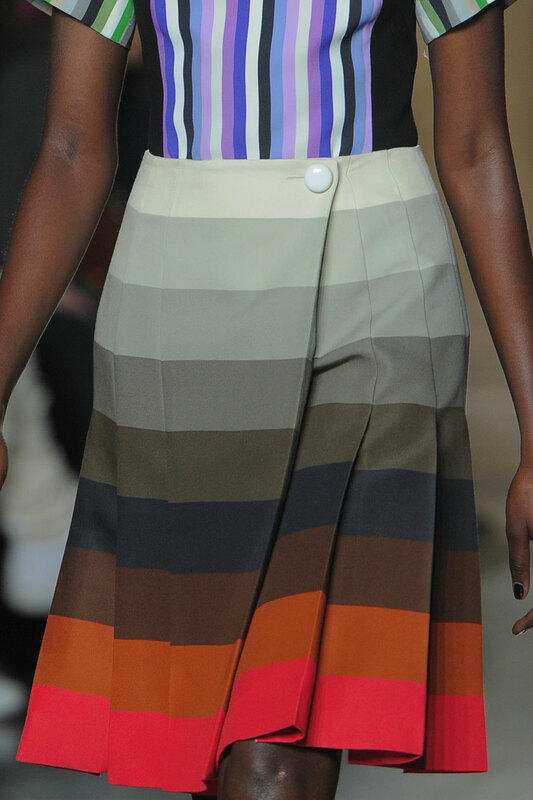 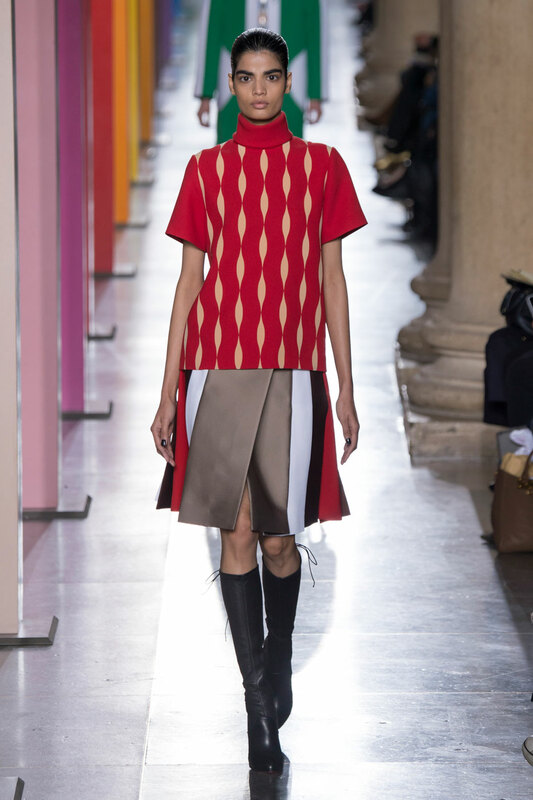 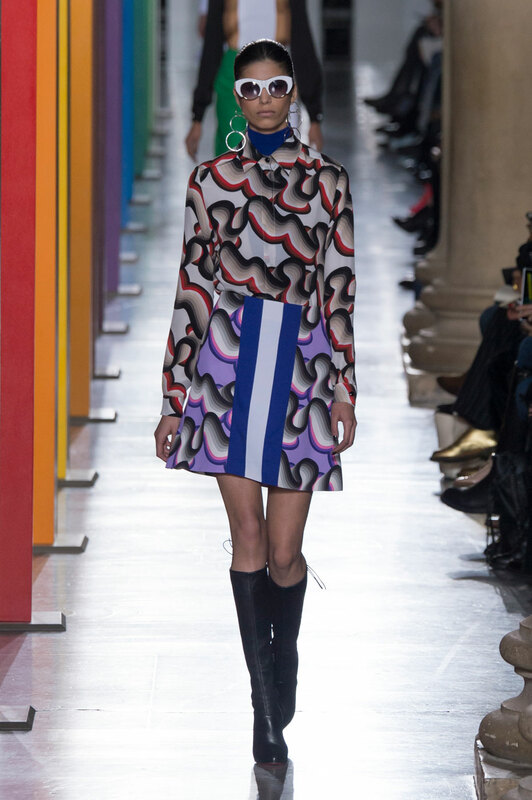 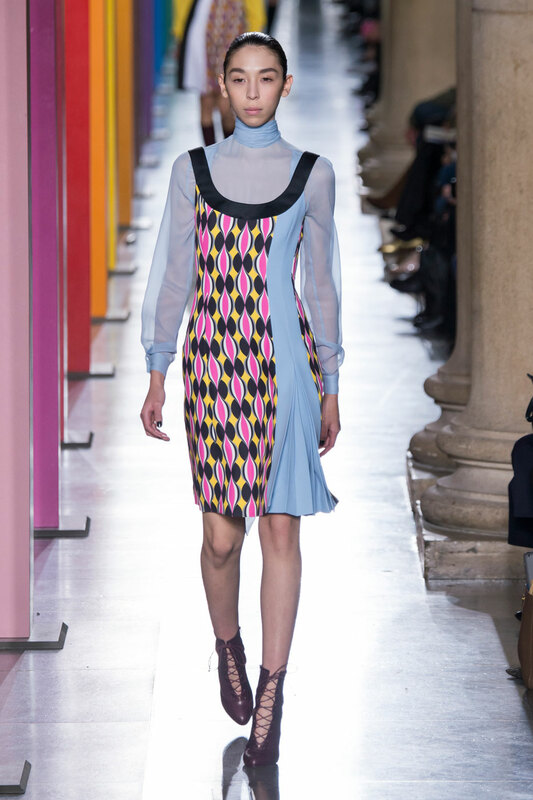 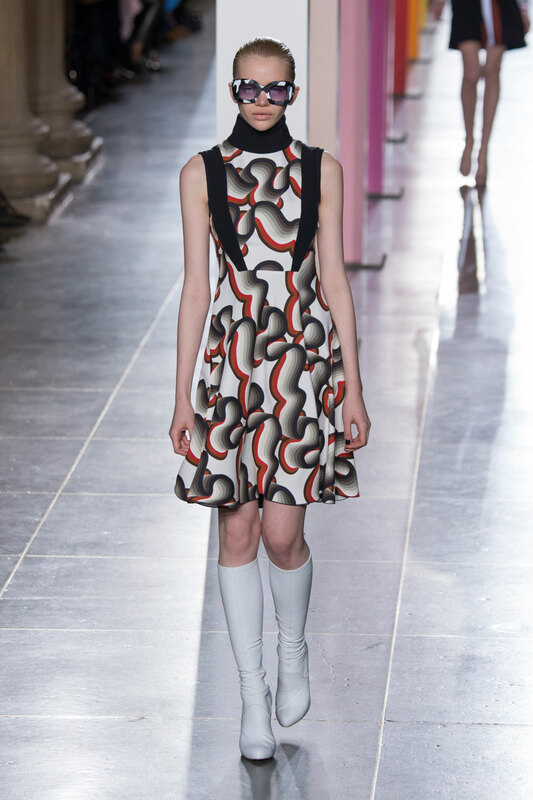 With models strutting alongside a towering multitude of multi-coloured columns, Saunders’ optical illusion inspired romantic reminiscence of Sixties psychadelia with pleated skirts, shirts and characteristic mini shifts being transformed through the designers playful colourful twists. 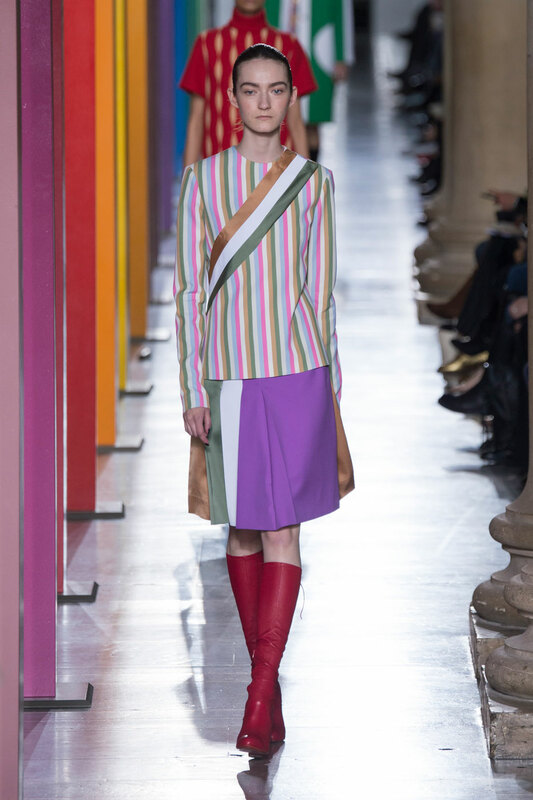 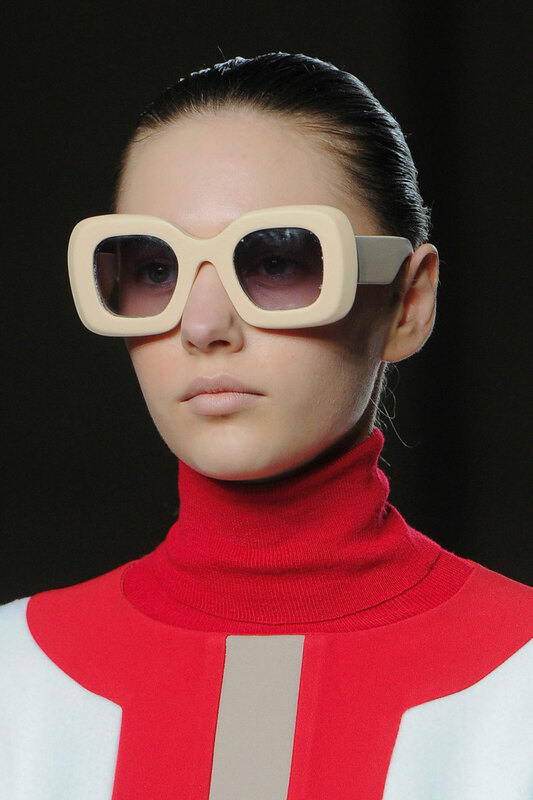 With Saunders showcasing his undeniable skill in colour and textiles, looks were given an authentic vintage edge through accompanying lace up Louboutin boots, oversized sunglasses and twisted bun accessories. 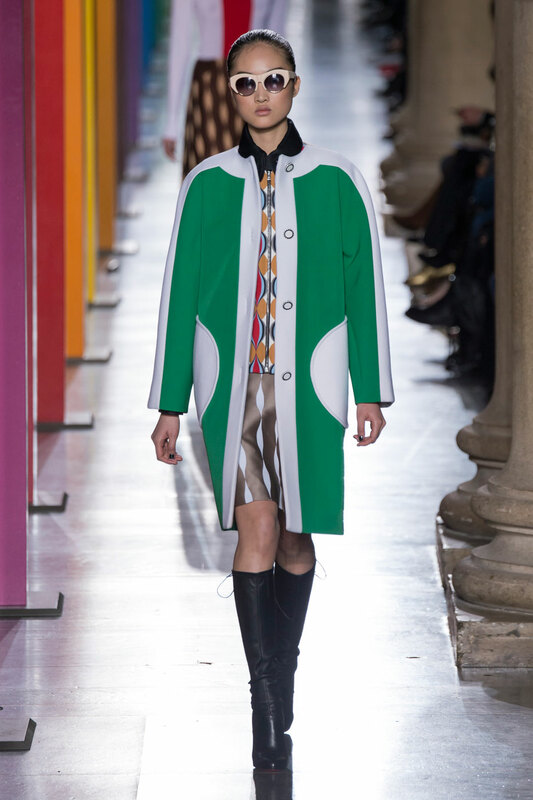 With swirling stripes slowly minimising and allowing space for the sharper graphic patterns similar to those formerly worn by Twiggy and Mary Quant, Saunders’ futuristically fun Autumn-Winter collection and its colourful clashes bordered on becoming kaleidoscopic. 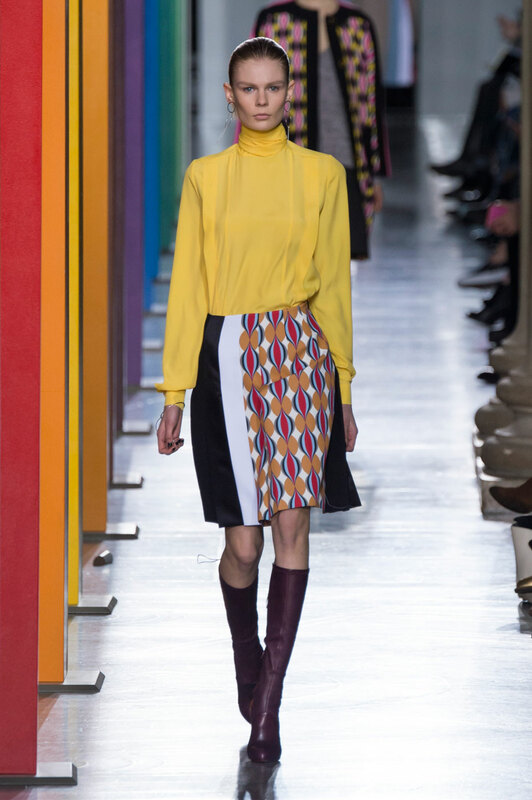 One thing is certain though, if the weather is miserable this Autumn-Winter this collection is one that offers a sense of optimism guaranteed to brighten up any day.